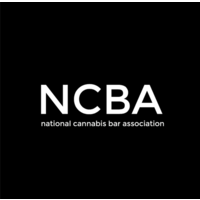 To that end, please know that the goal of The Cannabis Corporate Law Firm in submitting these comments is to further the legitimate business interests of industry stakeholders, in this case commercial cannabis manufacturers, and to aid in establishing a practical and fair system of regulation for the industry. 40102 (b)- need to add the word “or” in last sentence. 40300 overregulates the edible industry. Many of the products that are sold are attractive to consumers because they are readily identifiable. Prohibiting candy, cookies, drinks, teas and other edibles that can be construed as either attractive to children or mistaken for commercially available foods without cannabis unduly restricts the market. Moreover, the edible industry is well established in California. This regulation could inadvertently put a number of small businesses out of business. More narrowly tailored regulations are recommended.